I began my career through training at Bournemouth and Poole College in 1990, this was alongside my workplace in a Salon in Westbourne as an apprentice. I have been in the industry for nearly 18 years now, and have been working at HI Therapies for nearly 16 of those years (with 2 small breaks in the middle to have my two boys)! Working in one place for such a long time has helped me gain some great regular clients that are now more like friends that I get to catch up with regularly while doing their treatments! 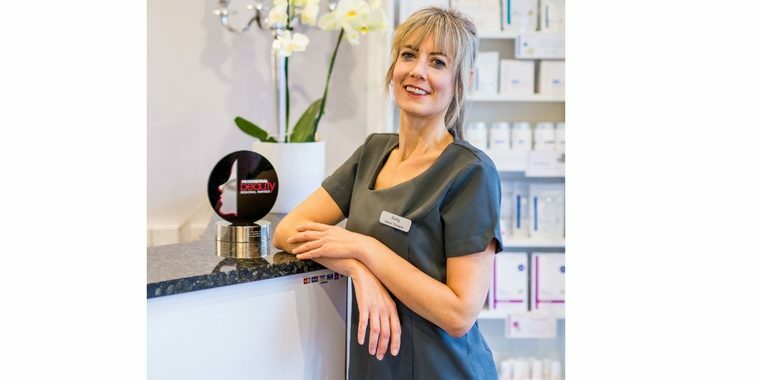 I have learnt a huge wealth of knowledge since my time here, including expanding my skills in electrical facials and holisitic treatments; two of my personal favourite treatments to perform. I also enjoy doing electrolysis and Hi Brow treatments – they both give immediate results and I love helping enhance my clients mood by giving them exactly what they are after. Some say I am part of the furniture here, however having being here for so long I have never lost my enthusiasm or passion for this industry. I work part time over two days a week – you’ll always know when I’m in as you can hear my laugh bouncing all around the salon, no matter where you are! NVQ2 and 3- Facials, manicures, pedicure, Eyebrow shaping, tinting. micro-current Galvanic, vaccum suction and low and hi frequency, body electricals (G5) Electrolysis, body massage and Indian Head Massage, Dermalogica Facials, massage, ST Tropez spray tan.